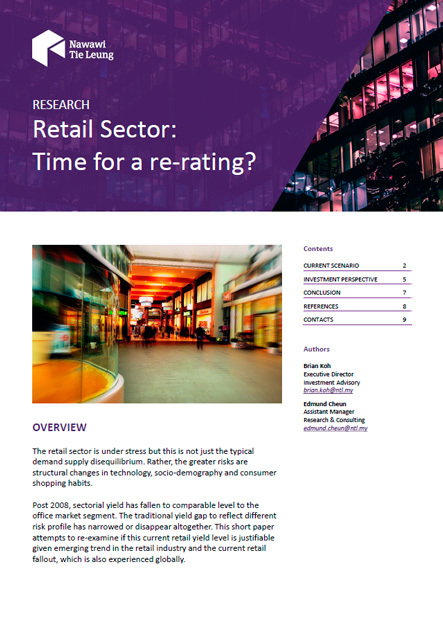 Retail Sector: Time for re-rating? The retail market yield has fallen to comparable level to the office market segment. The traditional yield gap to reflect different risk profile has narrowed or disappear altogether. This short paper attempts to re-examine if this current retail yield level is justifiable given emerging trend in the retail industry and the current retail fallout, which is also experienced globally.